Slavery was prominent in America during the 1800’s. People were traded, just like goods. They were abused: made to work all day without food. 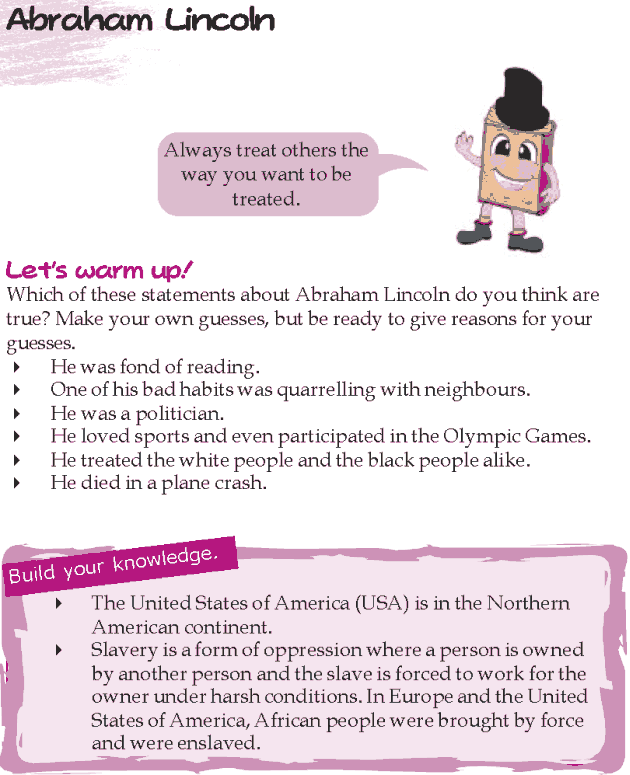 Abraham Lincoln is known for abolishing slavery. Let us learn something from him.